Bottom line: For most companies, generating $13.23 billion in quarterly revenue—a 42 percent YoY increase—would be cause for celebration, but Facebook isn’t like most companies. 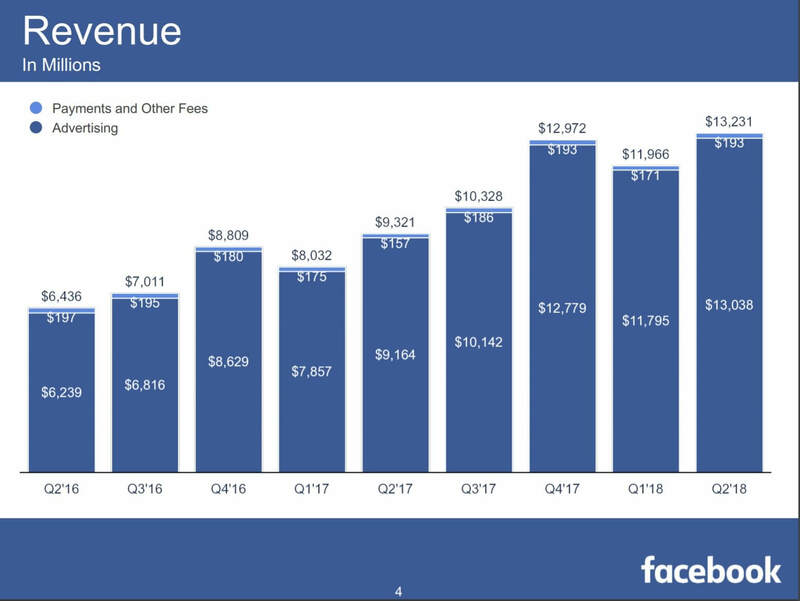 The social network missed analysts' expectations of $13.36 billion in revenue, while Q2 2018 marked its slowest ever user growth rate. All of which saw the firm’s share price fall 24 percent in after-hours trading. 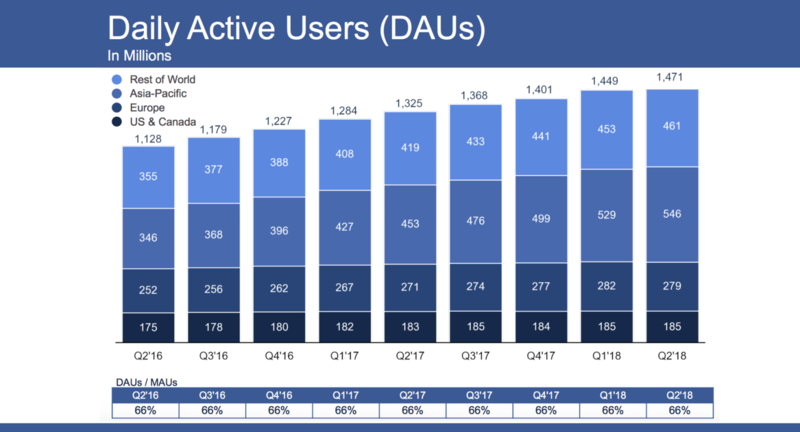 Despite so many people already being on Facebook, daily and monthly users were up 11 percent year-over-year. However, it saw monthly user growth of just 1.54 percent in Q2, down from 3.14 percent during the previous quarter, with monthly active users now at 2.23 billion. Daily active users, meanwhile, grew by just 1.44 percent, compared to 3.42 percent last quarter. 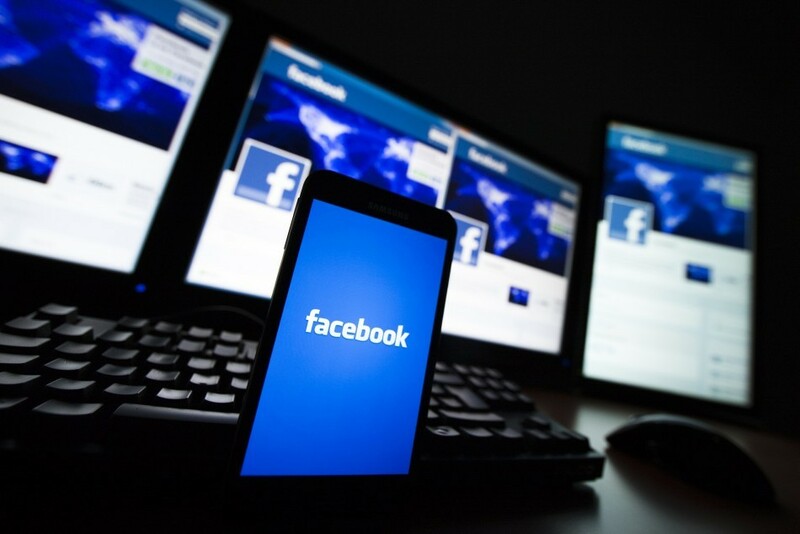 In Europe, Facebook’s number of monthly users fell for the first time, from 377 million to 376 million—thought to be a result of the EU's General Data Protection Regulation (GDPR). The US and Canada’s figures were unchanged at 241 million. 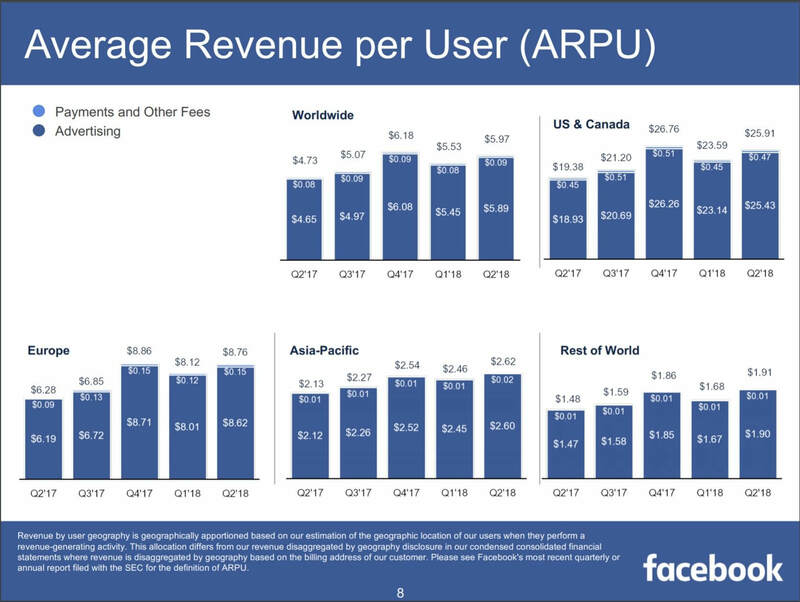 The company did manage to squeeze more money out of each person, with the all-important Average Revenue per User (ARPU) increasing to $5.97. Facebook tried to soften the blow by announcing a new metric. It said that 2.5 billion people use at least one of the company’s family of apps–Facebook, Instagram, WhatsApp, or Messenger–each month. Despite missing targets, it appears that scandals such as Cambridge Analytica haven’t severely affected Facebook’s ability to make money, nor has it caused a mass exodus—22 million extra people used the site each day compared to the previous quarter. But the slowdown in growth has spooked investors.